Wonderful position at the lake, inviting apartments with comfortable furnishings, indoor pool and various saunas, ideal starting point for an unforgettable winter or summer holiday! 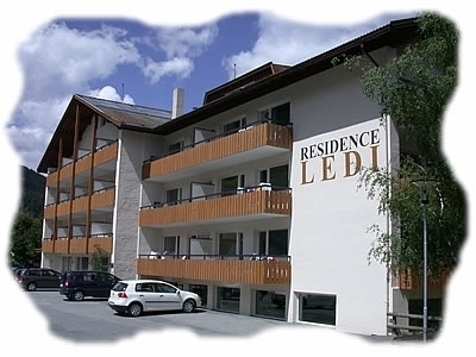 Welcome to the Pension - Residence Ledi in St. Valentin in Vinschgau! 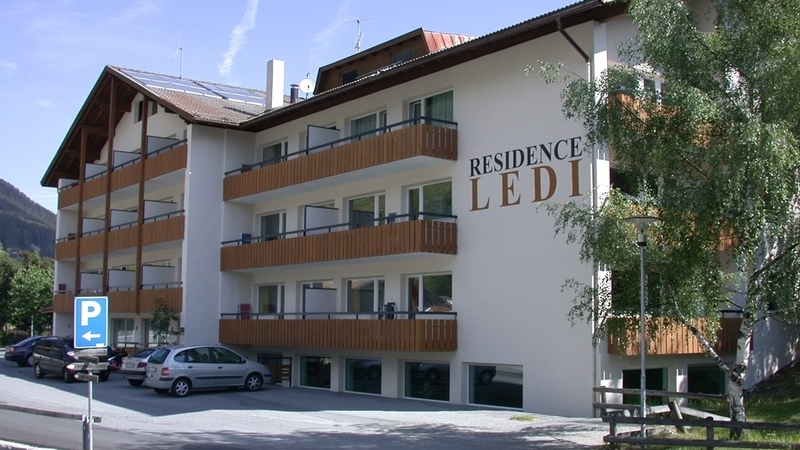 The Pension - Residence Ledi is the ideal destination for those who seeking independence and want to wake up in the morning, open the window and start the day with breathtaking views. Our apartments overlook the Valentin Lake and the peaks of the Ortler and Sesvenna, it can accommodate from 2 to 6 people and have a balcony, fully equipped kitchen, safe, TV and telephone. At our house, there is a room entertainment, indoor pool with whirlpool, table tennis room, turkish bath, Finnish sauna and solarium. In winter the Reschenpass with Nauders, Schöneben and Haideralm offers more than thirty new lifts and 110 km of ski runs. We are located just 50 meters from the gondola St. Valentin and from the bus stop for the other ski areas. In summer, the peaks above 3000 meters waiting for the more adventurous hikes, walks and climbs. A true paradise for lovers of sport and mountain! Gratis Skibus, Deckchair, Ski depot in the house, Pets allowed, Snow boot dryer, Family-friendly, Int he village centre, Quiet position, Shops in the environs, above 1000 m a.s.l.